At least one of the attackers was armed with a with a dark-colored baton he used to strike the victims. The attackers fled after a bicyclist rode into the park and began shouting at the suspects. The victims — ages 21 and 22 — flagged down a passing car and got a ride to the hospital. The 21-year-old, a UCSB student, suffered a large laceration to his scalp and a broken jaw. The 22-year-old injured his shoulder, and suffered welts on his back and a cut lip. The victims described their attackers as Hispanic male juveniles. 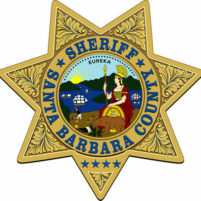 Investigators are asking anyone with information about the incident or the suspects to call 805-681-4150. So it is a far worse crime than if a straight man was attacked by juveniles? I thought this country was working toward equality for all? I don’t get it. Pi-on, did the article make the claim that it is far worse? Nope. At best the article offered the motivation for the attack. If it was a drug deal gone bad the article would have made reference to it as well. Hate crime was not even mentioned in it either. I would contend what you don’t get is; that if we are all considered equal beating someone up because WHO they are should be unacceptable. If you truly believed in equality that concept wouldn’t be hard understand. Are you working towards an inclusive world? Personally, I don’t think you give a hoot about equality, because your comments appear to be nothing more than low grade trolling wrapped up in false concern. Up your game dude, your true motivation is showing. Is all it takes to constitute a hate crime?